Here are some low-end but high quality gift suggestions for your next road trip or your next drive into work. Americans spend a lot of time in their cars -- it's like a second home for some folks, and the car accessories market is flooded this season with things that can make commutes and family trips more homey. 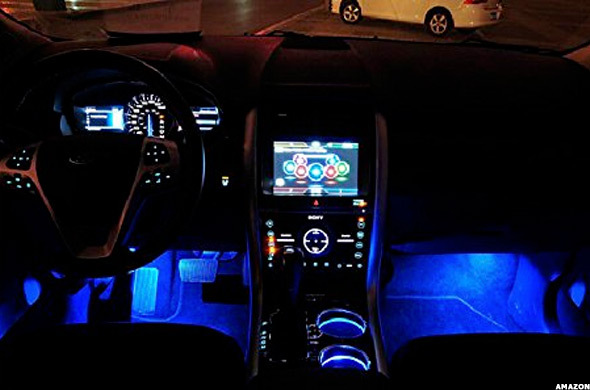 It used to be that car gadgets were pricey -- and you'd be lucky indeed to have some of them --but, the ranges for, say, heated seats or bling lights are more accessible than ever. Here are some low-end but high quality gift suggestions for your next road trip or your next drive into work. 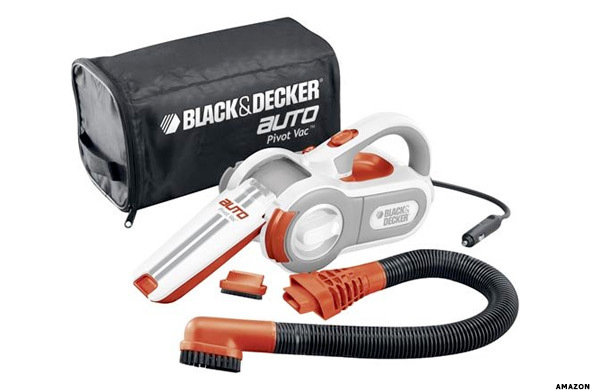 Why deal with an oversized house vacuum or pay for a professional job when you can just keep the Black & Decker 12-Volt Handheld in the car? The big selling point here is the pivoting head, which means you can arch over the top of the dashboard or get under the driver's seat just as easily as you can comb the trunk area for dust and crumbs. It's got all the usual attachments-including a crevice nozzle-but one of the best parts is that you can empty it really easily and get back to vacuuming. Backing up is hard to do, right? If you don't have a factory standard camera system, but need better visibility, you'll need to install one yourself. 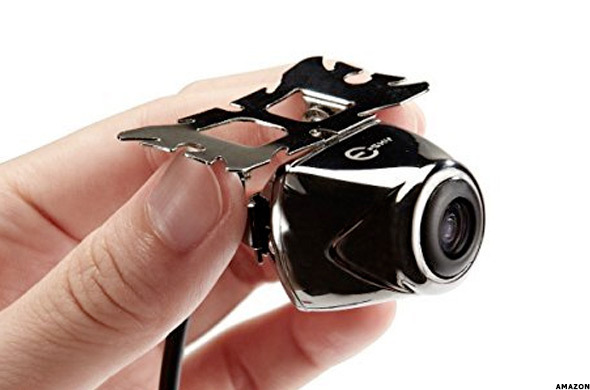 The EC170-08 High-Def Car Rear View Backup Camera by Esky fits the bill, not only for its functional qualities (waterproof, superior imagery), but for its ease of installation. You just have to place it on the rear of the car, feed a few wires, and pair it with Esky's 4.3" Portable LCD Monitor (sold separately), and you'll be backing up in style-and in safety. Since the winter sun sets earlier than quitting time, rush hour commutes are a little darker than usual (and just as boring). Pop on your Docooler LED Interior Atmosphere Lights, and your night goes from banal to bangin'. Do you moonlight a little as an Uber driver? These lights will be a crowd pleaser (and may boost your rating, to boot). Plus, activating them is super easy: the switch is right at the cigarette lighter (where they plug in). Winter boots, mucky leaves, and the remnants of your most recent snack attack can leave a car smelling a little funky. You need professional help. 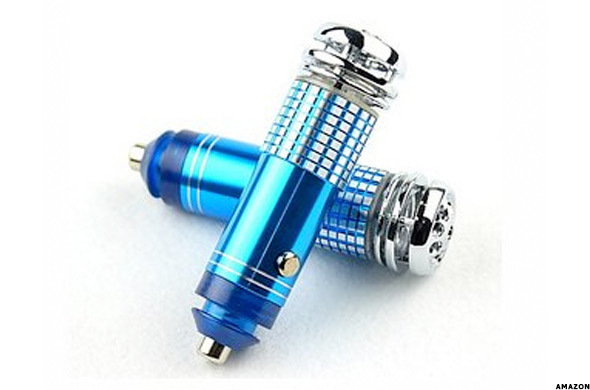 Enter the New Car Air Freshener and Ionizer, which plugs right into your cigarette lighter (and glows blue as an added bonus). It's not a substitute for a nice, deep cleaning, but it will definitely make things pleasant until you can take care of business. Checking the tire pressure is a hassle-and who knows if that chrome and plastic pop-up gauge is actually working correctly. Everything else in your car is digital, so why shouldn't your tire gauge be? 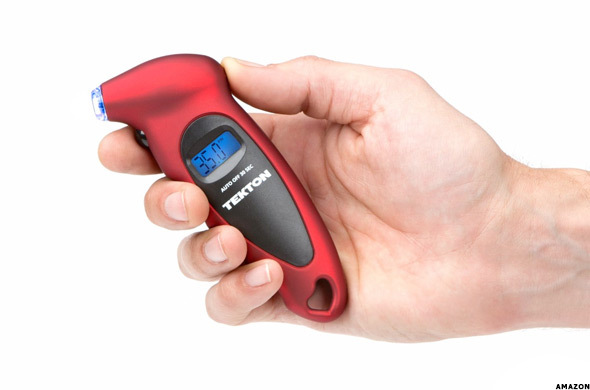 Tekton has responded with the 5941 Digital Tire Gauge that measures along four ranges: PSI, BAR, KPa, and Kg/cm. A light in the nozzle helps guide you toward the target, it takes a fast and accurate reading, and best of all, it shuts off after 30 seconds so there are no surprises the next time you reach for it in the glove box. Lots of people are tempted to talk on the phone in the car, but few of them know how to do it safely. The ideal is maximum functionality and minimal or no fumbling. 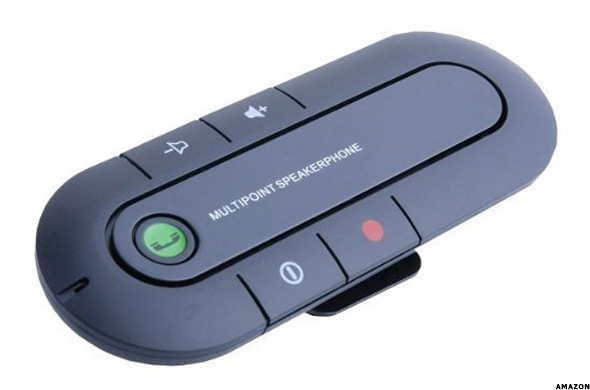 Hands-free calling is the law in many jurisdictions and SUFUM's Bluetooth Speakerphone car kit - for the visor - is a safe and responsible solution. Forty hours of standby and 20 hours of talk time mean it's around for the long haul, especially when you have to drive a long haul. The Gutenberg Press, the Theory of Relativity, and the heated car seat are three of humanity's greatest inventions. Only one is for sale, though-and it happens to be the coziest of the three. If you didn't pony up for the heated seat upgrade when you bought your car, now you can-for a fraction of what it would have cost you. 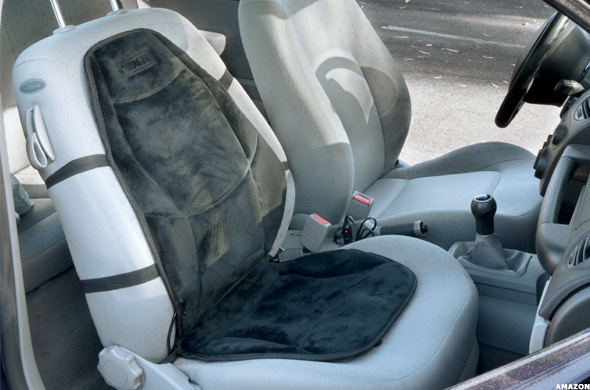 Wagan's Heated Seat Cushion with Lumbar Support makes the drive, no matter the distance, worthwhile. Plus, it goes to 11 on the amplifier: 114 degrees Fahrenheit. It's like sitting on a Palm Springs rooftop. If you have to travel with an infant, the big question is: will the child sleep? Nighttime drives are particularly fraught because the stakes are higher; if they do sleep, you're golden, and if they don't, you may find it difficult to focus on the road. 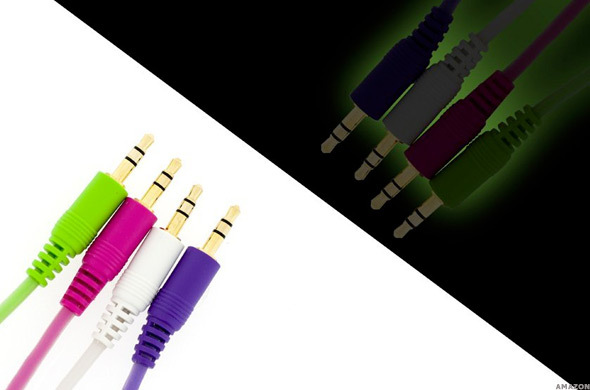 Bytech has come up with a Glow in the Dark Auxiliary Cable that's really for any time you need an AUX connection. But it seems particularly genius if you have to keep a tiny brain occupied while you try to navigate 40 more exits after the sun has gone down. Plug in your phone, dial up Mozart for Babies, and let the glow-worm do its trick.